In her 83 years, Anne Billingsley Kerr gathered achievements and attracted friends in impressive numbers. From her early childhood she demonstrated entrepreneurship, using her immense talent, energy and adventurous spirit to make the most of each opportunity and create a few of her own. Whether turning her family’s screen house into a soda fountain (at age 12) or working as a camp counselor in her teen years, Anne was always plotting her next venture. Following studies at Hamline University, she heeded the siren call of the most glamorous career for a woman of the 1950s: stewardess for the rising Northwest Airlines. The rules were strict, and stewardesses were required to remain single and give up their positions at age 32. Flying on the legendary Boeing 377 Stratocruiser remained one of the best times of her life. She left the airline after four years, in 1960, to marry Thomas Kerr. They divorced some years later. As a single mother of son Rick, she pursued various travel related careers, working in marketing at the Marriott Hotel, the largest hotel on Bloomington’s 494 Strip at the time, and later at the growing travel business, AAA. In 1976 she bought The Apartment Guide, with a sales force of nearly all women. Recently, a partner in the firm sent a note complimenting her on empowering her employees. “With your leadership, we empowered each other, well before the word took its place in business lexicon. it was a pleasure to come to work each day knowing that we were all striving for the same goal: to make the company successful.” Upon reaching that goal, Anne sold the company and earned her real estate license. After a successful 12 years as a realtor, Anne started her part-time retirement job at the Golden Valley Library, intending to stay only until she reached full retirement age. She retired in September 2016 after 18 years. “I simply like the people I worked with too much to quit,” she said. It was during these years that she rediscovered Northwest Airlines, as negotiations for its sale to Delta were underway. 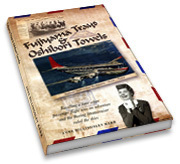 The news coverage of the sale/merger triggered a raft of great memories, leading her to write a book about her days as a stewardess, “Fujiyama Trays & Oshibori Towels,” in 2008. Featured prominently was the fabled Boeing 377 Stratocruiser that she dubbed “the sovereign.” The book earned her the 2009 Minnesota Aviation Hall of Fame Writer’s Award,” which led to presentations to organizations across the state and country. Selling out four printings and collecting an abundance of stories from her readers, she published the second edition in 2015. It was launched at the Airlines International Convention in Atlanta, where she was keynote speaker. The first edition opened new doors to the aviation community, most notably the Northwest Airline History Centre in Bloomington. Anne became aware of the group shortly after the book was published, and soon she found herself on the Board of Directors and editor of “Reflections,” its quarterly newsletter. She organized programs and speakers that attracted scores of visitors. Among the presenters was the co-pilot on the flight that the notorious D. B. Cooper hijacked. She was active in the organization until late last year when it closed temporarily for relocation in the Crowne Plaza Aire Hotel in Bloomington, scheduled to open in September. Knowing that airline retirees love to tell and hear stories of past exploits, she started her Lady Skywriter website in 2008. An early adopter, Anne avidly learned all the technology she needed to write and self-publish her books, the newsletter and her website and blog, with the professional assistance of her webmaster and designer, Gretchen Westbrock. Thanks to Anne’s generous endowment, the Lady Skywriter site will continue to operate as long as the people of NWA contribute their memories. Anne found pleasure in allowing others to share her limelight. Rather than take credit for an achievement, she always shared it with those who had been involved in the project. Her upbeat attitude and genuine concern for others made for lifelong friendships. A world traveler, she reveled in a Barefoot Cruise in the Caribbean in the late 70s; a trip on the QE2 to Southhampton, England with a return trip on the Concorde SST; a chilly adventure to Hudson Bay to see polar bears up close; to Italy with family to haunt museums and visit Puccini’s home in Lucca; to Machu Picchu to marvel at the ruins of an ancient civilization. For many years, she took annual trips to Wells Beach in Maine. Her last visit to Wells was in September 2014, where she and a friend walked 10 miles the first day. Anne died of mesothelioma on Aug. 19 at The Villa in St. Louis Park, MN. During her five weeks there, her countless friends from across the country flooded the mailroom with well wishes, prompting the attendant to remark that Anne had received the most mail in the shortest time of any of their patients. 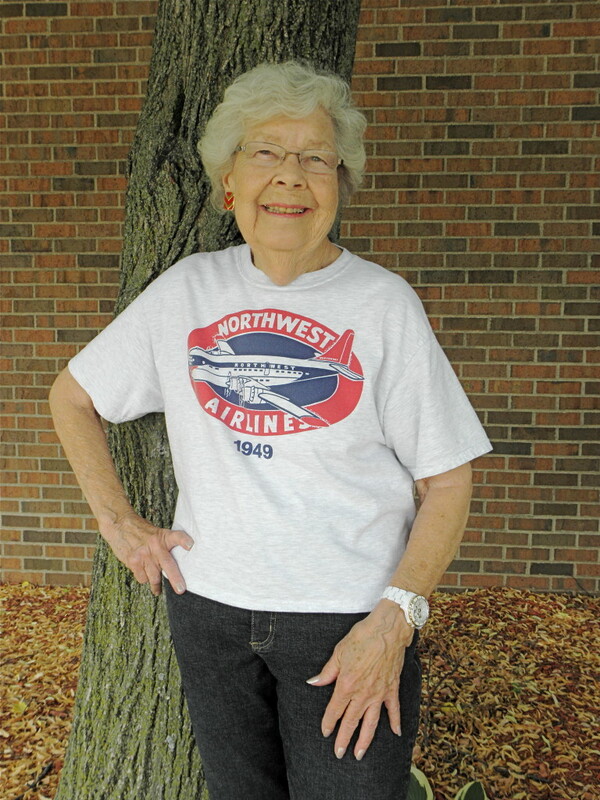 A celebration of her life will be held at the Northwest Airlines History Centre at a date that will be announced on the Lady Skywriter website. Involved in the planning, she insisted that the emphasis be on new beginnings, for her and for the Centre’s new location. Two of her prized Northwest models will be raffled for the benefit of the Centre. Memorials are directed to the Centre at Crowne Plaza Aire Hotel, 3 Appletree Square, Bloomington, MN 55425. She leaves her son Richard, St. Louis Park; brother John Billingsley, Owatonna, MN; niece Keri Fladeboe (Dana), a great-niece Emma and great-nephew Jake, Minneapolis. Once upon a time there was an airline ~ known over the years as Northwest Airways, Northwest Airlines, Northwest Orient Airlines, and NWA. She had dazzling flagships, including the Ford Trimotor in her early days and the Boeing B-377 Stratocruiser from the 1950s, pictured above. These were the days before deregulation, bankruptcies, mergers, and passenger screening. Back then air routes were doled out by the federal government and competition between airlines focused on other issues: passenger comfort, quality of food and exceptional service. A fairy tale? Sounds like it when compared to today’s passenger experience. Northwest Airways began humbly in 1926 as an airmail route from Minneapolis-St. Paul’s Speedway Airport to Chicago. The airline was known to the U. S. Post Office as C.A.M. 9 (Contract Air Mail No. 9.) Although it is believed that an occasional passenger hitched a ride to Chicago on C.A.M. 9, Northwest Airways’ first official passenger was Byron Webster, a St. Paul businessman, on July 5,1927. In 1931 service to Duluth began. No airport? No worries. Two amphibious aircraft were acquired and flights landed in Duluth Harbor. By 1933 the airline extended its reach to Spokane and Seattle with both Charles Lindbergh and Amelia Earhart helping to promote the new route. In 1934, the year Lady Skywriter was born, new Minnesota owners reincorporated the airline as Northwest Airlines, Inc. Beginning in 1944, and over the course of its history, Northwest Airlines acquired, and/or merged with, 12 additional airlines. From the beginning the Northwest family was peopled with colorful characters and flew magnificent airplanes. Its history is written with great stories, right up until the disappearance of the famed red tail in early 2010. After 84 years of innovation and growth our beloved airline was no more ~ its familiar logo painted over by its new owner, Delta Air Lines. So we celebrate her memory by telling and re-telling her stories and printing her photographs, right here! 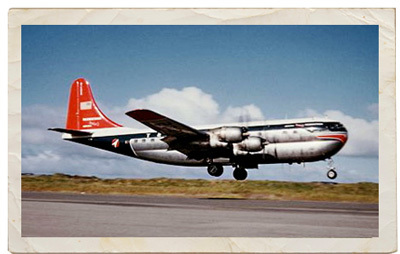 Explore Northwest Airlines and its Family Tree Airlines, from their hardscrabble beginnings to the kinder, gentler, golden days of passenger flight; complete with unforgettable characters and events. Please comment and contribute! Anne Kerr, author of Fujiyama Trays and Oshibori Towels, winner of the 2009 Minnesota Aviation Hall of Fame Writer’s Award, has added 56 pages and 83 photos to the original book. The Second Edition, published in May, 2015, chronicles her experiences as a Northwest Orient Airlines stewardess in the 1950s and more recently as a speaker, blogger and NWA History Centre volunteer. 131 photos. 183 pages. Limited copies available. Please contact info@westbrockdesign.com for more information. as Lady Skywriter unearths stories and photographs of these fabled airlines and the people who made them great. Please help keep them alive by sharing recollections of your experiences working for, or traveling on, Northwest Airlines and its Family Tree Airlines. Go ahead . . . click on the white cloud above to share your stories with us. An eclectic collection of flight facts, quotes and lore.